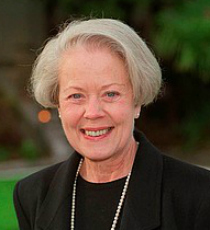 Annette Crosbie is best known for playing the part of Margaret Meldrew in BBC sitcom One Foot in the Grave. Other iconic roles include Queen Victoria in Edward the Seventh, Jessie in Calendar Girls and Catherine of Aragon in The Six Wives of Henry VIII, for which she won a Bafta Award. Annette also features in animated series Lily’s Driftwood Bay.